India 20 September 2016: Weight loss is one of the most talked topic today due to the ever increasing waistlines of people around the world. People around the world believe that cinnamon is a super food to lose weight when combined with a proper diet and exercise regimen. Like many other foods, herbs and spices cinnamon (Dalchini) can also help assist you in your weight loss journey and not alone cause weight loss. Cinnamon (Dalchini) is loaded with antioxidants which helps to reduce inflammation and reduce oxidative stress. Rise in the level of stress in the body leads to the production of “cortisol”, which in turn raises the blood sugar levels, inflammation in the body and disturbs the immune system of our body. Increase in the levels of cortisol in the blood leads to weight gain around your belly. The antioxidants present in cinnamon help in maintaining your body weight. To lose weight it is very important to reduce the stress in the body for that you need to reduce the amount of cortisol produced, and the antioxidants present in cinnamon work excellently to reduce the production of cortisol and help you manage your weight. High blood sugar is one of the main reason for weight gain. High blood sugar increases your craving for more calories and also leads to excess fat storage which makes you to put on weight. Cinnulin is a compound found in cinnamon which has the ability imitate the activity of insulin in the body and help lower your blood sugar. This not only helps the body to lose weight gradually but also keeps you healthy by lowering the risk of diabetes. Daily intake of cinnamon (Dalchini) boosts your metabolism rate by 20 times. The thermogenic burn properties present in cinnamon helps to shed the excess fat stored in the body. When your metabolism increases, you tend to burn more calories and in turn burn off the excess fat from your body. Daily intake of cinnamon (Dalchini) works great to reduce the levels of triglycerides and ldl cholesterol and also increase the HDL levels in the blood. The blockage in arteries of the heart and the body is caused by high levels of bad cholesterol in the blood. 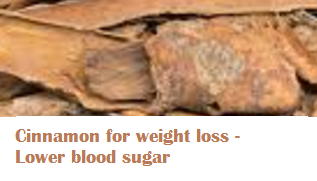 Daily cinnamon intake reduces the accumulation of cholesterol in our bloodstream and thus helps in losing weight. Regular consumption of cinnamon (Dalchini) is known to reduce the stubborn fat around your belly. 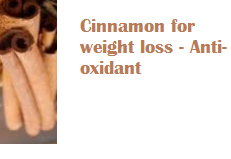 The thermogenic burn properties of cinnamon helps to get rid of the excess fat stored near the belly area. Drinking a cup of cinnamon tea daily is an excellent way to lose belly fat. Cinnamon (Dalchini) works to slow down the process of moving food into your stomach. This will help you keep full for a longer time making it an amazing thing to include in your weight loss diet. Cinnamon being sweet in nature can help lower your craving for sweets. How much cinnamon is needed to stay healthy? As per research, the daily intake of cinnamon (Dalchini) should be 500 mg per day. For getting the most benefits of cinnamon one should consume 250 mg in the morning and 250 mg in the evening. Cinnamon supplements or tablets should be avoided, as they are not considered healthy in the long run. How to include cinnamon (Dalchini) in your diet to stay healthy? 1.You can sprinkle cinnamon (Dalchini) powder on your coffee, cakes, desserts, etc. 2.One can also have your favourite cereal or oatmeal with warm milk and sprinkle the cinnamon powder on top. 3.One of the most effective methods of having cinnamon is consuming cinnamon tea. You can make your own cinnamon tea by boiling a cup of water with tea leaves and one stick of cinnamon. Filter this tea and add a teaspoon of honey. Mix it well and drink this amazing cinnamon tea twice a day for best results. 4.One can also sprinkle cinnamon (Dalchini) powder on your toast to enhance its taste and enjoy with your morning cup of tea. 5.Cinnamon (Dalchini) powder can also be added to apple and peach pies, custards, fruit juices and tarts to enhance the flavour.